JOHANNESBURG, Oct 4 2016 (IPS) - The dam supplying Johannesburg’s water sits less than 30 percent full. Water restrictions have been in place since November and taxes on high water use since August. Food prices across South Africa have risen about 10 percent from last year, in large part due to water shortages. In the midst of one of the country’s worst droughts in recorded history, the government continues to permit new coal mines and coal-fired power plants. 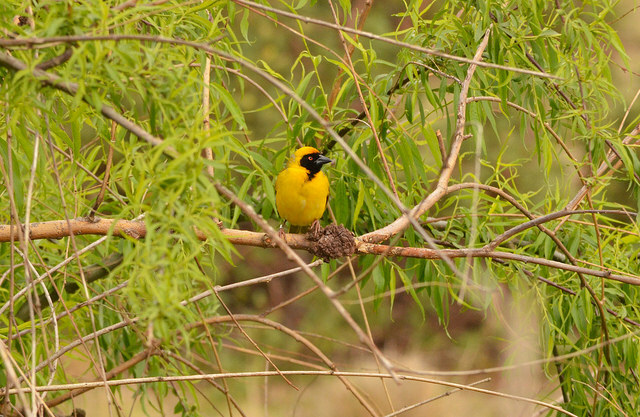 One mine in particular is gaining increased scrutiny, as it has been given nearly all the permits necessary to mine in a high yield water area called the Mabola Protected Environment in the Mpumalanga province. Indian mining company Atha-Africa Ventures (Pty) Ltd’s proposed Yzermyn Underground Coal Mine would sit 160 miles southwest of Johannesburg in the catchments of three major rivers: the Vaal, the Tugela and the Pongola. 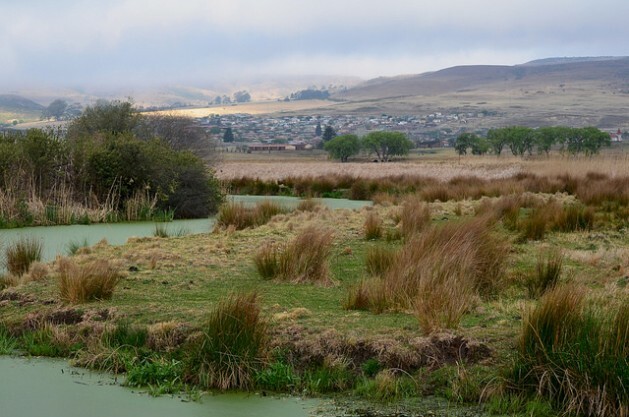 The surrounding area also falls within a Strategic Water Source Area, the eight percent of land in South Africa, Lesotho and Swaziland that accounts for 50 percent of water supply. Because the mine would tunnel underneath Mabola, the Protected Areas Act prohibits mining unless a company obtains written permission from the directors of both the Department of Mineral Resources, DMR, and Department of Environmental Affairs, DEA. The DMR signed off on the project when it granted a mining right in September 2014, just eight months after Mabola was declared protected. However, at a September hearing of the South African Human Rights Commission, a representative of the DMR falsely asserted under oath that the department would not allow mining in the area. The DEA has given no indication of Minister Edna Molewa’s plans regarding the mine. Neither the DMR nor the DEA responded to requests for comment by the time of publication. The Vaal River System ultimately provides water for most of the country’s coal-fired electricity generation, as well as the country’s most populous province of Gauteng, and Fourie fears pollution from the mine would impact the system. The underground Yzermyn mine would cover about 2,500 hectares of Atha-Africa’s 8,360 hectare mining right. Surface infrastructure would be kept to a minimum, although plans indicate a pollution control dam is to be built on a wetland. Atha-Africa’s senior vice president Praveer Tripathi said, “The evidence that mining in that area is going to disturb the functionality of the wetland as well as any apprehensions about acid mine drainage were very, very scant.” According to Tripathi and the environmental authorisation, mitigation will include recharging wetlands, onsite water treatment and sealing of the shafts post-closure. Tripathi argued that a nearby abandoned mine is dry, which would suggest Yzermyn might not flood and cause acid mine drainage. However, it took several iterations of consultants’ reports to reach the conclusion that the mine would have minimal environmental impacts. “There was concerns raised by our own specialists about some of the negative effects of some activities,” Tripathi said. Angus Burns, senior manager for the Land and Biodiversity Stewardship Programme at WWF-SA, was active in the movement to demarcate protected areas. “The precedent that can be set by the allowance of this kind of activity within a protected environment opens up, I believe, a floodgate of opportunities for any mining company to challenge protected environments,” he said. The water use license granted to Atha-Africa allows the company to use 22 Olympic size swimming pools-worth of water annually, dewater the underground area it would mine and pump a limited amount of treated effluent into wetlands. Mining opponents also claim political ties helped push this mine through a stringent permitting process. One of Atha-Africa’s Black Economic Empowerment partners called Bashubile Trust has several trustees with connections to President Jacob Zuma. Sizwe Zuma, one of the trustees, is alleged to be the president’s relative – although Atha-Africa denies this – and in court documents Sizwe Zuma listed his residential address as the presidential estate in Pretoria. Bashubile did not respond to requests for comment. Mpumalanga’s Department of Agriculture, Rural Development, Land and Environmental Affairs, which acknowledged all the protected areas yet still granted the environmental authorization, also did not respond. Regardless of permits, much of the population in nearby Wakkerstroom, Mpumalanga, is afraid that mining would severely impact the current economy, which is reliant on livestock farming and ecotourism. 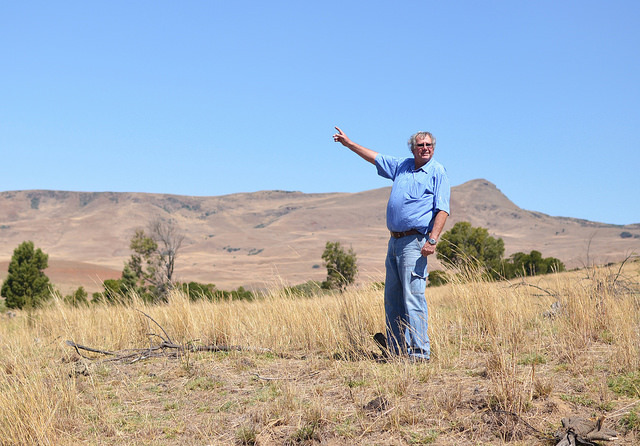 Johan Uys works on his family’s farm near Wakkerstroom and said his children will be the sixth generation to farm there. “Most of the people that are from Wakkerstroom are against mining, but there are the people that don’t have jobs that are for the mining because there are these promises that are made,” he said, citing the racial disparity between wealthy white landowners and poor black communities in town. Wakkerstroom residents from the black community said they would only want mining if Atha-Africa pledged environmental protection and sustainable job growth. The company estimates that 500 direct jobs will be created and 2,000 indirect, although the mine is only expected to operate for 15 years. Mark Olalde’s mining investigations are financially supported by the Fund for Investigative Journalism, the Fund for Environmental Journalism and the Pulitzer Center on Crisis Reporting. Additional support was provided by #MineAlert and Code for Africa.